Moogulators projects till 2000’s: From Moogulator to ConseQuencE! this is the main music project today. live + studio work. iNNtelligent beats and abstract electro to drum ’n‘ bass and clicks ’n‘ cuts and some more.. don’t miss them live on stage! listen to dAdA-iNN and hear about – music on 2 movies, one of them being „458nm“ honoured at siggraph and ars electronica 2006. 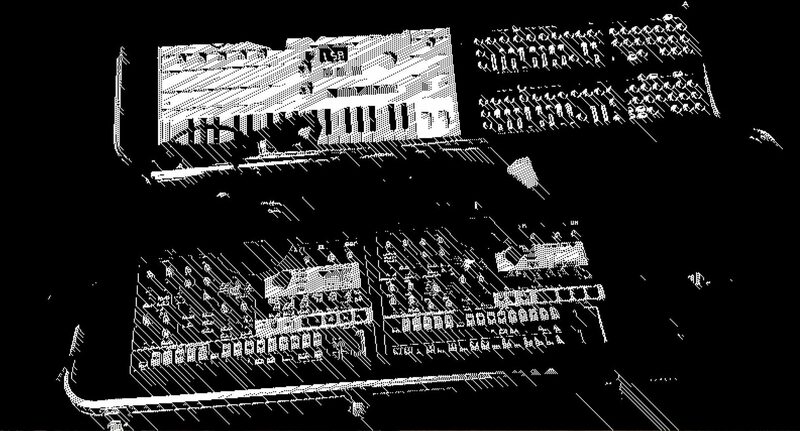 ConseQuencE is an electronic project that was deeply influenced by industrial / electro and went to more „mindmovie“ kind of structures later..
exists since 1985. started with desolated victims / volition tapes and some CDs..
is not a project, it was a live jam in cologne, germany till early 2005..
moogulator plays in dr.walker’s club camouflage with other electro musicians..
Volition: see Consequence – a side project. and some smaller non mentioned ones..
human deadline and der rat der grauen and elektro-kartell are artist communities and labels – you can reach them all by contacting moogulator, maschinensound is the audio download net label base of all moogulator projects !